Regional governments and other lenders are bailing out NordLB. The salvage keeps the sickly bank in public hands, but is costlier for taxpayers than other options, like hitting bondholders. The old-school bailout reinforces the case for consolidation in Germany’s banking system. The London Stock Exchange is mulling a bid for Oslo Bors, says the Evening Standard. The Norwegian group is already the target of a pricey offer by Euronext, and LSE’s links with it limit cost savings. The takeover would be a costly distraction from bigger issues, like Brexit. DNO, chaired by Bijan Mossavar-Rahmani, offered a low price for Faroe Petroleum. Investors could reject the bid, but the magnate likes to control companies with minority stakes, and already owns 31 pct of the North Sea driller. Any hopes for a big bump may be disappointed. The pan-European group is ready to pay 625 mln euros for the Norwegian exchange. The festive offer already has the support of nearly 50 pct of investors. In the consolidating world of electronic trading, it’s getting harder to play alone. Accepting the holiday hamper makes sense. A consortium led by the buyout group is buying 60 pct of Baltic bank Luminor for 1 bln euros. It’s oddly timed, given high-profile money-laundering cases have tainted the local market. But Luminor looks cleaner than most and offers some cost-cutting opportunities. Oslo’s $1 trillion wealth fund wants its investments to flag what they’re doing on ocean pollution. As a recent spat over oil and gas holdings shows, political meddling means good intentions don’t always translate into action. That should be less of a problem this time around. Oslo’s $1 trillion wealth fund wants to shed its oil and gas stocks, but a cautious government may not let it. Riyadh’s $250 billion equivalent wants steady growth, but the state may push it into leveraged, risky ventures. Both need more independence, and less political meddling. Scaling back lending to shipping and Russia dragged down the Nordic bank’s revenue and knocked 9 percent off its underlying pre-tax profit in the first half. However, a comfortable capital ratio of 19.9 percent should ensure the lender’s 8 percent dividend yield is safe. Sweden’s Telia is beefing up its Norwegian operations by buying rival TDC’s local business for $2.6 bln. 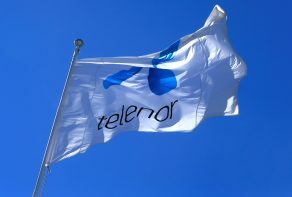 That gives it a sturdier platform to challenge incumbent Telenor. Cost savings should help deliver a decent return – as long as it avoids price wars or a regulatory clampdown. The transatlantic budget carrier reported a surprise profit. Rising passenger numbers and falling costs will help convince airlines circling the group that its unorthodox model can fly. Suitors like IAG or Lufthansa will be more wary of letting Norwegian fall into rival hands. The loss-making music service will soon charge Norwegians 10 pct more to listen to its vast song library. That will test if users value it enough to pay a premium over rival Apple. Spotify’s thin margins mean little benefit to investors even from a similar worldwide hike.